When the soil pressure distribution map is drawn, it is necessary to make clear the soil pressure when the soil conditions change, that is, the soil boundary, water level, excavation surface, etc. 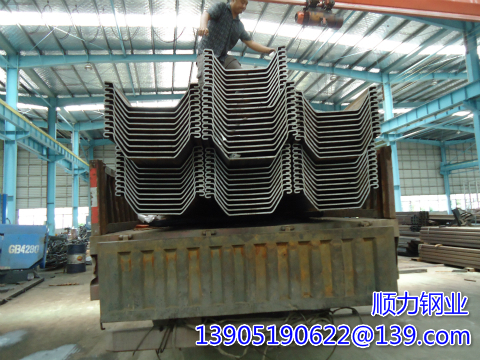 If the support is included, earth pressure calculation is also needed. The pressure map can be decomposed into a series of different elements when the earth pressure takes a moment to a given point. When the earth pressure map is decomposed into rectangles and triangles, multiply the solution area of the triangle by 1/3, 2/3 or 1/2 by multiplying the solution torque by 1/2. When the earth pressure map is decomposed into triangles, calculate the area multiplied by 1/2 of the moment to be multiplied by 1/3 or 2/3. When the soft clay is located at the excavation surface, the steel purlins manufacturer considers it reasonable to assume that the cohesive force increases linearly from 0 to the design value in the passive soil depth range when calculating passive earth pressure.